The Humanscale Quickstand Free Sit Stand embodies a clean aesthetic that keeps all cables neatly stored inside the chassis. Advanced counterbalance technology eliminates any shaking as you type which makes for a pleasant, controlled work experience. This stylish standing desk converter allows the monitor and keyboard to move together as you raise and lower your workstation. The Humanscale Quickstand Free Sit Stand is similar to other Humanscale products in our catalogue, the key difference being that instead of a clamp attaching to an existing desk, the Free Sit Stand is controlled by a weighted base plate. 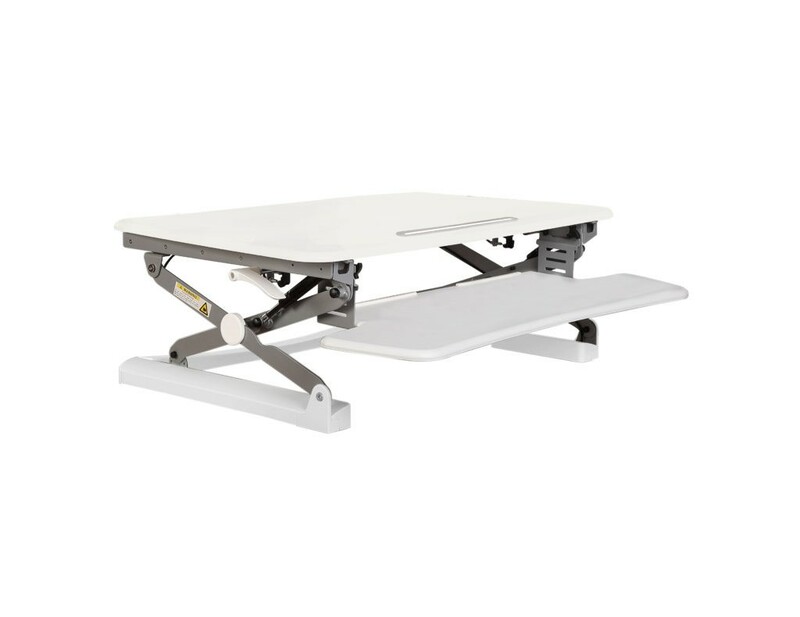 The base plate allows for increased workstation transformation as the operator can move effortlessly without the constraints of a clamp attachment. If you collaborate on projects or work in a fast paced environment, being tied to one location can sometimes be a hindrance. The base plate allows you to change your place of work with no effort. Simply lift and move.